Since homeschooling requirements vary from state to state, it's important to know the requirements before you begin educating your child at home. In Georgia, homeschooling is overseen by the Georgia Department of Education, and students from ages 6 to 16 are required to complete 180 days of instruction, just like their public school counterparts. The cut-off date for age is September 1 (so a student who turns 6 years old by that date would need to be enrolled in homeschool or traditional school). If a parent will be the primary educator for a child's homeschool program, the parent must have a high school diploma or a GED. Any tutors hired by parents to homeschool their children must have the same credentials. Compared to other states, Georgia's homeschooling requirements are not terribly stringent. Here are some of the rules to remember if you're planning to homeschool your child in Georgia. 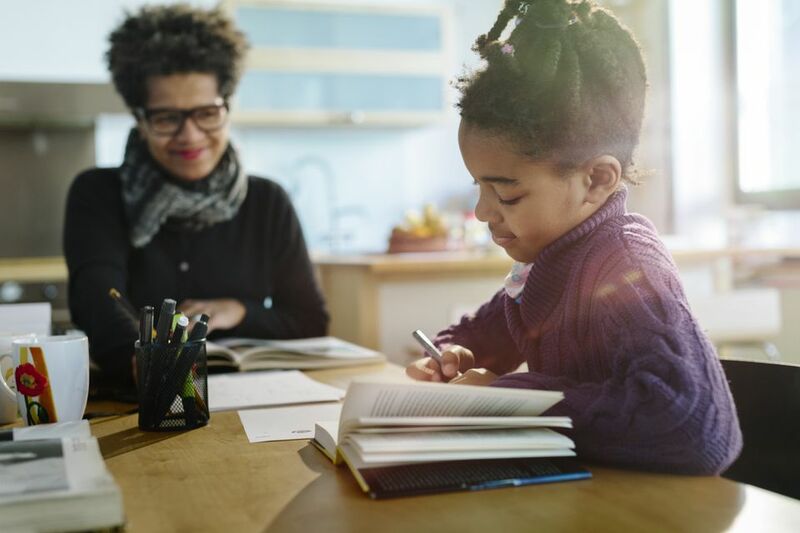 Within 30 days of starting homeschooling, and by September 1 of each school year, parents must file a Declaration of Intent with their local school system. You can find this form on your county's school website, or the GaDOE site. This is the only official documentation parents need to file with the state in Georgia to homeschool their children. This form can be completed electronically or sent via mail. If you're sending by mail, be sure to send it certified, so that you can confirm receipt by the school district. You should keep a copy for your records. The declaration should include the names and ages of all students being homeschooled the home address, or address where the instruction is taking place and the dates of the school year. Homeschooled students must complete the equivalent of 180 days of school each year and 4.5 hours of school per day. Parents must report attendance at the end of each month to their local school superintendent. Forms are available on your school district's website, and in some counties, you can report attendance online. The state of Georgia does not require parents to report homeschooled students' attendance. Specific curriculum choices are up to parents, but the law states that lessons must cover reading, language arts, math, social studies, and science. School districts cannot monitor homeschoolers' curricula, and they are not required to provide books and lessons to homeschooled students. Homeschoolers in Georgia are not required to participate in statewide standardized testing. But homeschooled students must take a nationally-recognized assessment every third year (so at grades 3, 6, 9 and 12). The record of this test-taking should be retained for three years. Examples of acceptable tests include the Stanford Achievement Test or the Iowa Test of Basic Skills. Homeschooling parents do not have to issue formal report cards, but they must write a yearly progress report in each of the five required subject areas (reading, language arts, math, social studies, and science) and retain that assessment for three years.